Welded and riveted security doors and window guards are made from expanded aluminium, which makes them incredibly strong. They are also installed in their own aluminium frames. These doors and window guards are also fitted with fly screen, so you can leave them open and keep everything but the fresh air out. 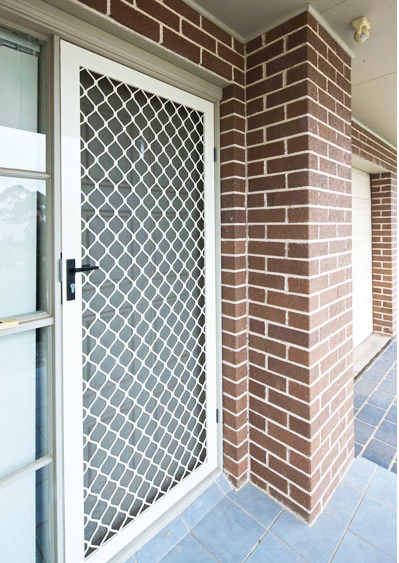 All window security grilles have a 7mm strand thickness and meet the requirements of the Australian Security Door Standard AS5039. To obtain maximum benefit from our Security Grilles all doors made incorporating these grilles should also be manufactured to comply with AS5039 and installed to comply with AS5040.